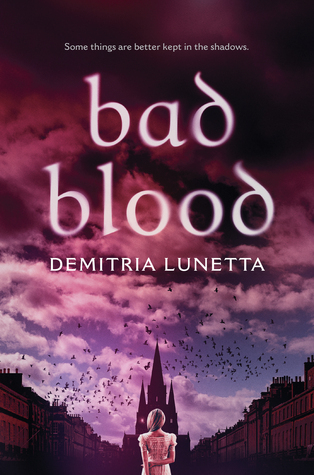 DEMITRIA LUNETTA is the author of the sci-fi duology In the After and In the End. While attending university in Scotland, she developed a love of Scottish history and folklore, especially the dark tales of Edinburgh’s past. Those frightening things (ghosts, witches, and haggis) helped inspire this book. She lives in Racine, WI. I had this book as an eARC and I ended up giving it two stars and DNFing it. Then I found it at the library and decided to give it another try. And I am so glad I did because this book was amazing! I do have to say that the cutting thing that is in this book was one of the things that turned me off of it the first time I tried it. But now that I have read it all the way through I understand why it was there. So although it should be listed as a trigger please know that there is a good reason why it's there. This story is for the reader who loves mystery and witchy magical things. Overcoming Evil as well as those who want a story about family and first love. This book has it all. It was a very fast read and I read it in 3 and a half hours. And I couldn't put it down. The author did a wonderful job with the flow and giving us little bits and pieces of the story as it unfolded. The POVs of Heather, Primrose, and Prudence was ingenious and it made the story more interesting. The setting of Scotland was beyond magical and I do hope one day to visit. And no that's not just because I'm addicted to all thing Outlander..........😳ok yes that does have something to do with it. The characters in this one are rich and alive. I couldn't help but feel for Heather and I would love to see another story set in another POV from the side characters. I think that it would be amazing to explore the other families histories. This is one that I won't soon forget and I think others will enjoy it as well!